This little bag of cheese snacks was in Aldi's special buy section, and there were two varieties. Sadly, I forgot what the other flavor was, (Swiss?) but I remember I preferred Gouda, so that's the bag I went with. The packaging is a typical heat-sealed plastic bag, which keeps the product fresh, and the design fits in with the rest of the Specially Selected label. There's lots of black in the background, white text, and a lovely product photo. As always, I like the general idea and layout, and for a no frills brand, this is quite frilly. The design might not be spectacular, but it is leaps and bounds better than it's rival no frills companies. I opened the bag, and the little chips smelled like puffed corn and cheese, but not Gouda. This cheesy aroma is a lot more like white cheddar, which I kind of expected. Time to give these a taste. I picked one of the "bites" up and took a closer look. These little snacks are freaking precious! I love that they look like little slices of cheese, but looks aren't everything. (I mean these don't even look like Gouda, but I get the cheesy snack concept.) I took a bite and...I don't think this is Gouda. If so, they don't taste like any Gouda I've ever had. These little snacks are crispy, crunchy, and tangy, but this tastes more like a mixture of Swiss and white cheddar. At first I found the flavor a little off putting, because it wasn't what I expected, but these grow on you. 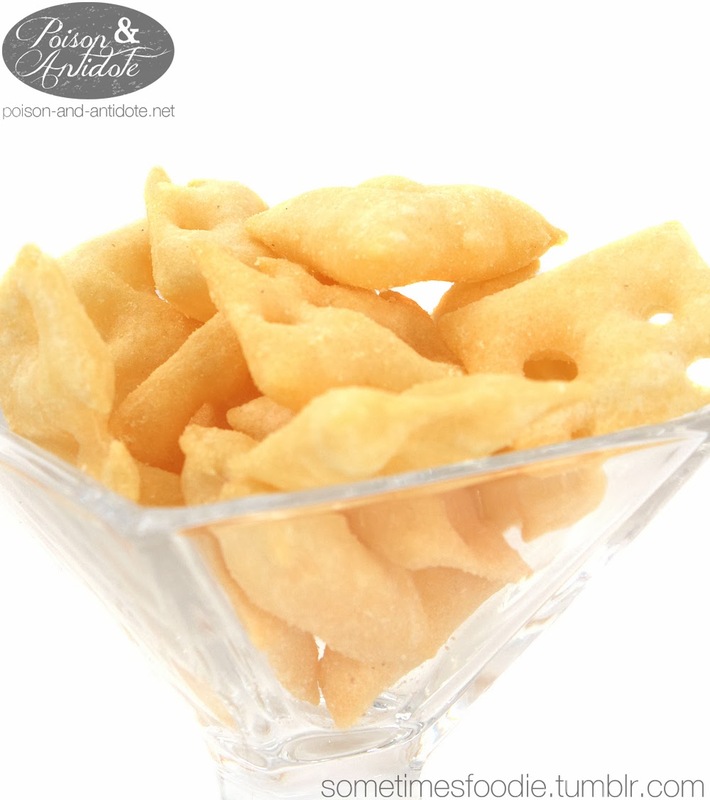 If you are a fan of white cheddar Cheez-Its, or white cheddar cheese curls, you'll absolutely love these. 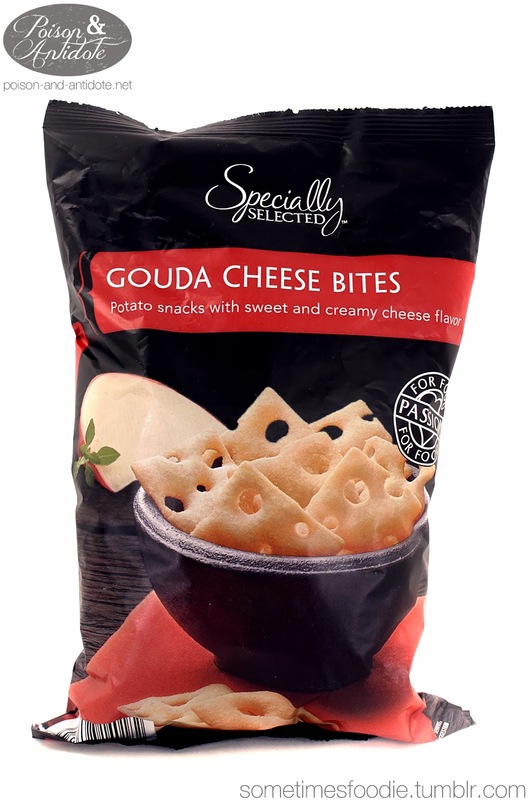 If you're like me and expecting delicious Gouda-y goodness, these are a let down. These things are addicting. My golf buddies expected me to have some every week - at the 19th hole - and have had several of them kill a bag themselves. Havent seen them in months, and a manager told me he thought they'd be available a couple of times a year. Wish they would permanently stock them. Best snack ever. I can't find these chips anywhere, I check Aldies every week to see it there back. They come back at random! That's the most frustrating thing about Aldi, these specialty items come and go without rhyme or reason. I saw these returned sometime around Christmas in my area, so maybe write the company and see if they can give you a heads up? Emmentaler cheese is the other flavor. These to me are one of the best snacks ever, don't go in looking for the Gouda taste as mentioned above and you will love these two flavors. They actually had a nice run for the better part of the year at our Aldis and I would get them a case at a time for work & home (hoping to get Aldi to see that they sell like crazy :). Now I am trying to find the German version to try and order some until Aldis restocks. Why can't I find these!!!! So pissed! When my girl makes olives and cheese, nothing compares to these Gouda bites. I NEED THEM!!!! When my girl makes olives and cheese, nothing is better than these Gouda bites. I NEED THEM!!! Come on Aldi!! Back in stock at Aldi, today! I got Gouda and Emmentaler, but I have also seen Bleu Cheese (last year). They were at the Alidi in Niles, Ohio last weekend, I showed it to a few coworkers and they want me to check tonight and buy them 4 bags. Hopefully they are still there. 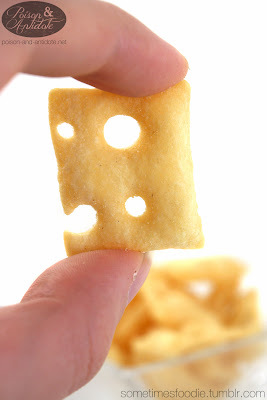 These cheese bites are the best snack. I'm totally addicted. I do notice that they can be cooked perfectly golden and crispy and that some batches are a bit undercooked and not as flavorful. When golden and flavored with enough cheese powder and salt these are really the best snack ever. The Blue Cheese are the best ever...bought them a month ago n didn't run back cause i didn't know they were not a regular item. What a disappointment to not find them the other day :( They are way better than the ones from Trader Joes. Please Aldi bring them back.I noticed Synders have Mild Swiss & Smoked Gouda that look exactly like these but I have not tried then. The Snyders crackers are definitely crunchier. They're good but not great, though they do offer more flavors. The Aldi crackers remind me more of a Pringles consistency, which makes sense as they're similar potato products.